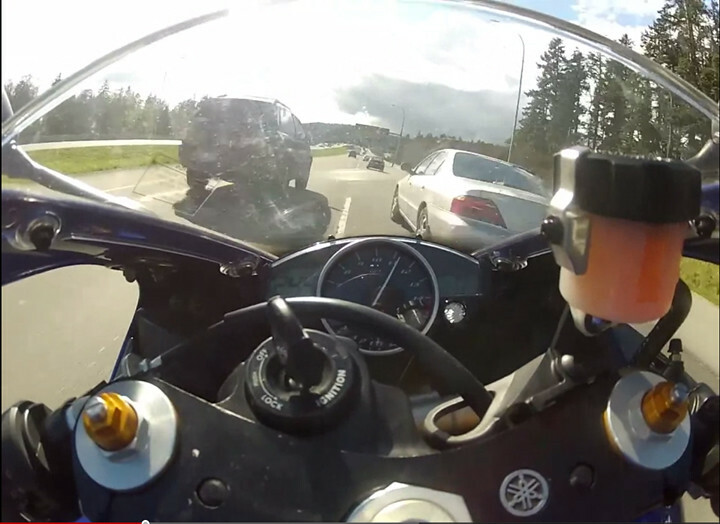 Saanich police have seized the motorcycle seen barrelling down the Trans-Canada Highway at speeds reaching 300 km/h in a video posted online earlier this month. But officers are unsure whether they’d be able to charge the man they believe was behind the handlebars on the bike. The registered owner of the blue 2006 Yamaha is an Esquimalt woman. The suspected rider is her 25-year-old son. Police have issued three tickets to the bike’s owner – driving without due care, excessive speeding, and driving without insurance – totalling $1,449 in fines. The two-minute video, showing the motorcycle dashboard and the driver’s first-person view weaving in between vehicles, was posted to YouTube on April 8 and quickly came to the attention of police. The digital speedometer shows the bike hitting speeds of 299 km/h. On April 13, after receiving a number of tips about the rider’s identity, police found and seized the motorcycle from an Esquimalt residence. “Our forensic technicians have determined that this is the same bike that is in the video. That’s conclusive,” Jantzen said. Const. Will Dodds, with the Saanich police forensic identification team, said Thursday that he was able to conclusively identify the bike by looking for “accidental characteristics,” such as scratches and paint chips, in the video and comparing them on the actual motorcycle. There is also a video camera mount attached to the bike. Earlier this week police put out a call for witnesses who saw the motorcycle weaving through traffic between Saanich and Langford. The video was shot on around 4 p.m. on April 6. “We have had a handful of witnesses come forward,” Jantzen said Wednesday. Under the Motor Vehicle Act, Jantzen said police are looking to revoke the licence of the bike’s owner and permanently seize the bike under the Civil Forfeiture Act. Police say the suspected driver has a lengthy history of Motor Vehicle Act violations, including more than two dozen infractions ranging from speeding and driving without a licence. The 25-year-old Esquimalt man does not have valid driver’s licence, and the seized motorcycle was uninsured on April 6, the day the video was shot. Jantzen said that the suspected driver is a risk to public safety on the road, but without evidence linking him to being the driver on the bike that day, police cannot take further action. “I think if this young man is on the road in any vehicle, regardless of who may own it, there is a risk to the public. Do we have the ability to control that in all situations? No. Could we take actions against this particular vehicle? Yes,” he said. He added that neither mother or son are co-operating with police. 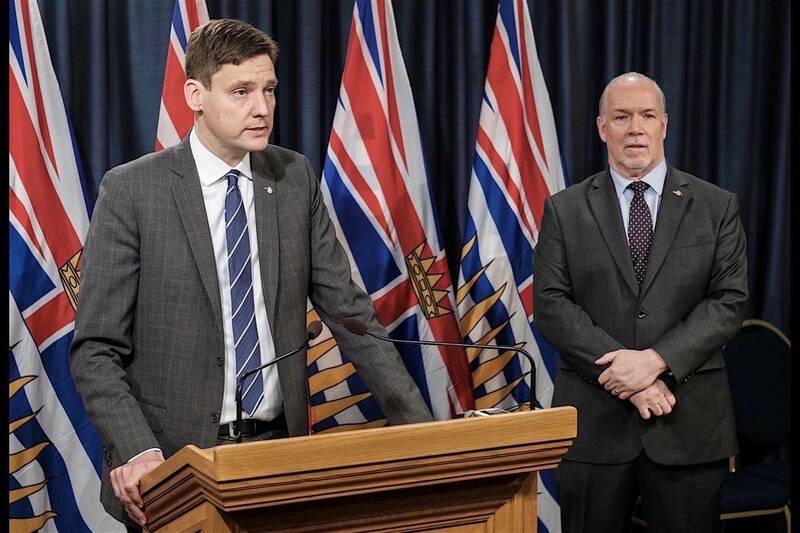 Chris Foord, chair of the Capital Regional District’s traffic safety committee, says the suspected driver’s “extreme moronic behaviour” is not going to change, given that two dozen fines and having his licence revoked haven’t stopped him in the past. “Unless we have more severe consequences for this kind of behaviour, you’re not safe and you won’t be safe,” Foord said. Police are still trying to confirm who the driver of the bike was, and are looking to speak with anyone who may be able to help with that. “We believe this person has been bragging about this publicly,” Jantzen said. Police are asking that anyone who may have been told by the driver that they were the one in the video to call them at 250-475-4321.